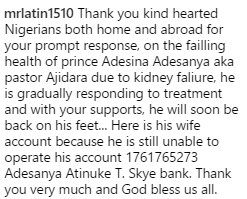 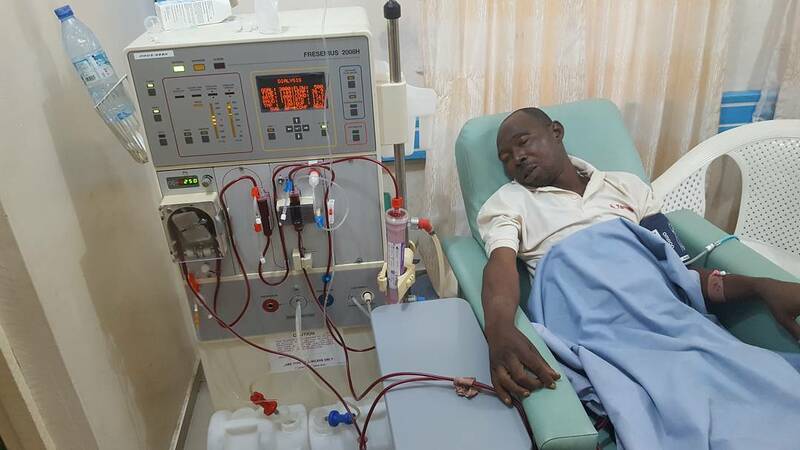 Nollywood actor Adeshina Adesanya aka Pastor Ajidara is still battling kidney disease at the hospital. 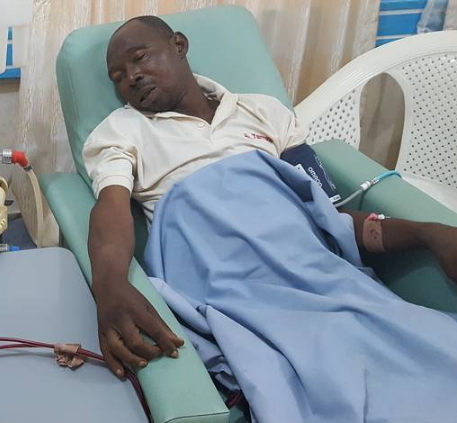 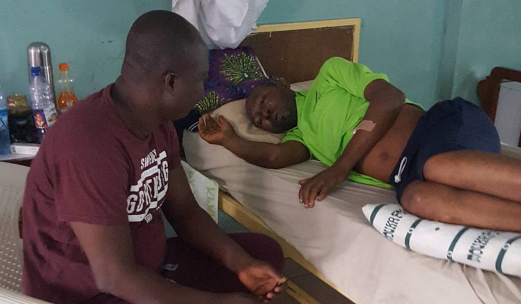 Comic actor Bolaji Amusan who paid him a courtesy visit on his hospital bed yesterday thanked those who have donated towards his treatment as he asked for more donation on behalf of the ailing actor and his wife. 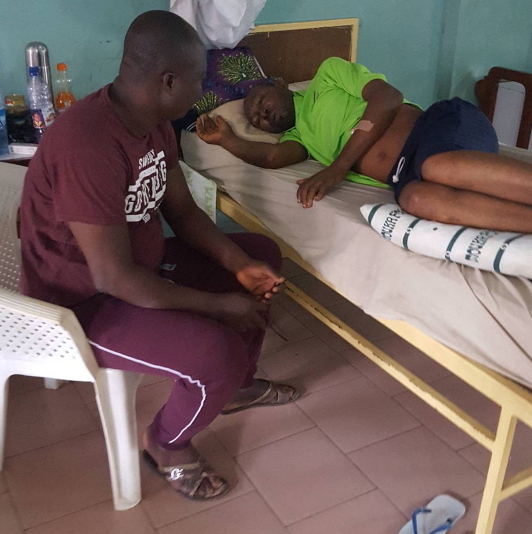 Get well soon pastor Ajidara.